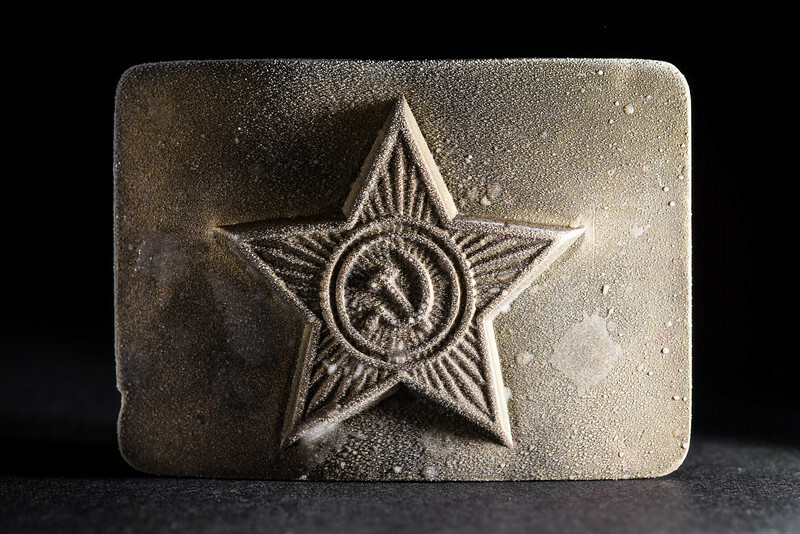 I couldn't think of any good photo to mark the start of the Sochi Olympics, and then - duh - I pulled out my red star brass belt buckle complete with hammer and sickle, like any normal person. I misted it and stuck it in the freezer to get some frost. Cause, you know, it's the winter olympics, which are cold. Great idea and a terrific shot! Awesome shot and very creative! Awesome! Great idea to put it in the freezer...I'd never have thought of that! Cool! (Little joke!) Very creative and well done.